Not only is Pittsburgh considered a “most livable city” by the likes of *Forbes* and *The Economist*, it’s also surprisingly close to some of the best whitewater rafting experiences in the East! If you live in Pittsburgh, you know rivers—after all, the city has nearly 450 bridges. It’s the perfect time to stop merely driving over rivers and plan your next adventure on rivers! Whether you’re looking for an easy family whitewater trip or a thrilling day of rapids, there are great options in Pennsylvania…and only a short drive from the city. 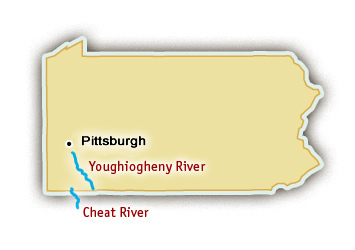 The Youghiogheny River, or the “Yough,” is only an hour drive away from Pittsburgh. The Yough has three sections for rafting: the Upper, Middle, and Lower. River trips on the Middle and Lower Youghiogheny start in beautiful Ohiopyle State Park, in the Laurel Highlands region of Pennsylvania. The Middle Yough is an 11-mile stretch of river, and it averages about one mellow, Class I-II rapid per mile. Since this section is so mellow, it’s perfect for families with young children (recommended for ages five and up). The Lower Youghiogheny is for those seeking a little more adventure. This 7.5 mile trip features Class III-IV rapids and is suitable for rafters aged 12 and up. Adventure lovers might opt to raft this section in an inflatable kayak for even more thrills. The Upper Youghiogheny lies outside of the state park boundary. The river drops over a hundred feet per mile as it moves through the steep Youghiogheny Gorge. This reach of river is for the truly adventurous—rafters should be at least 16 years old and in good physical condition. This 9.5 mile, Class V stretch of river features over 20 rapids, some with challenging drops and technical turns. It’s a blast! Fed by spring snowmelt, the Cheat River has a short but thrilling spring season for whitewater rafting. 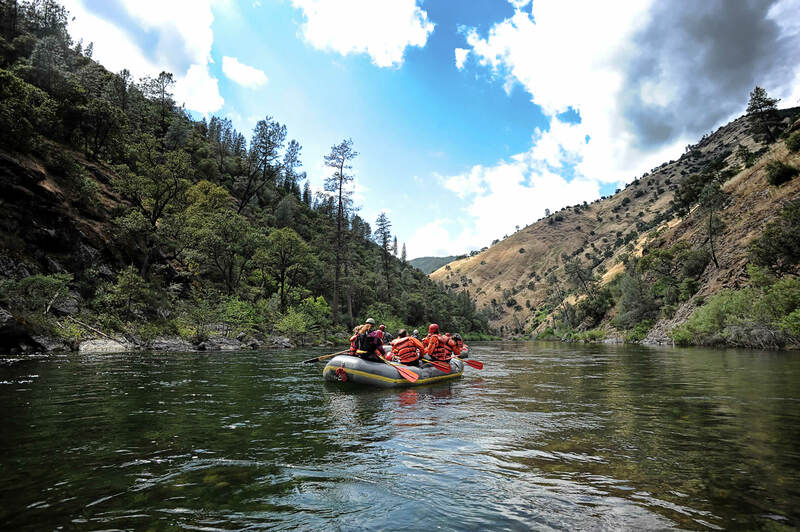 Between April and June, this 11-mile stretch of river lures rafters with its steep drops, heart-pounding rapids, and remote location. The Cheat River runs through a narrow canyon, with sparkling side waterfalls, native trout, and abundant wildlife. When you’re not powering your way through some of the 30+ rapids, you’ll be in awe of the remote beauty. Rafters don’t need previous experience, but the recommended age is 14 and up. While the river itself is about two and a half hours from Pittsburgh (near Albright, WV), some outfitters start their Cheat River trips from Ohiopyle State Park, only an hour from the city.